Well, with the number of articles on the drug screening available on the internet that emphasizes on the importance of the drug testing for the employees in the workplace, in order to get number of benefits. No doubt, the drug screening for employees is the great way to check of the company is safe from risks or not, but at the same time, this drug testing offers number of cons. Drug testing is the controversial topic that has number of opinions and has many sides. Some people think that is the necessary step for the hiring process, but some think that it is an infringement on the personal rights of the employees. With the most data on the internet offering only the positive sides of drug testing, I am going to highlight the negative side of its own. 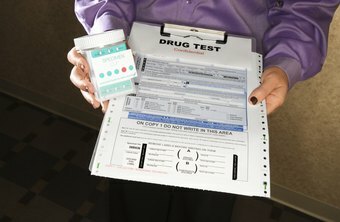 As the drug testing in the workplace requires the staff of the company to submit their tests, as a requirement for the employment. So, most of the people think this policy to be the invasion of the personal rights and privacy of theirs and find it to be discriminatory practice against the employees. So, that reduces the person’s interest in the job, especially when, there is no perceived cause for it to conduct. Well, as a matter of fact, the drug testing policy that is introduced by numbers of companies have added the inevitable costs for the company. There are several tests that are tailored for the number of drugs and all carry different costs and accuracy. So, this might be considerably costly, especially for the companies that are having large staff to test. After the tests being conducted in a company, there could be the rise of negative environment within the workplace, that not only affects the atmosphere, but also the productivity of the company. A “them and us” culture would be developed among the substance users and non- users, that can become the issue of stress for the employers as well as for the employees. What Is Allegra And When Is It Used?